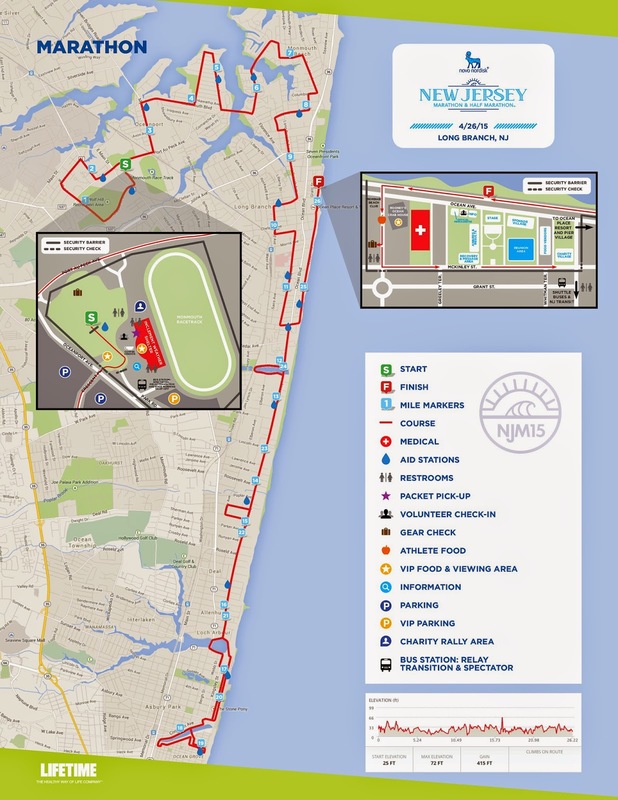 This past Sunday I ran the New Jersey Marathon . I can not say enough good things about this race. I will honestly probably be back next year to run it again. It was so well organized and so well run, I really have no complaints. The weather was picture perfect all weekend. The sun was out the entire day, weather was perfect and I never felt too warm. If I didn't love my arm warmers so much, I probably would have ditched them to be a little cooler, but it wasn't a bother having them on the entire race. The course was flat and fast. Run mostly through a lot of residential neighborhoods, by the ocean and finishing on the boardwalk. Let's start from the verrrrrrrrry beginning of my training and choosing a training plan. This was 2nd marathon and I knew I didn't want to use the same plan I had used for the first one. I heard so many wonderful things about Hal Higdon's plans and read through my options. I ended up choosing the Marathon Intermediate 2 Training Program . Did I follow this plan to a T? No, I loosely followed it, I ran the miles I needed to for the week, but not always on the prescribed day (like that crazy Monday morning I woke up at 3:00 am so I could drive to the gym and run 20 miles before work.) I digress. Was this the best plan for me while trying to earn a BQ? Absolutely not. It incorporated ZERO speed work and kept most runs to a "comparatively easy pace." I incorporated my own tempo runs and speed work, but sometimes felt a sense confusion and frustration. I needed some help and guidance. 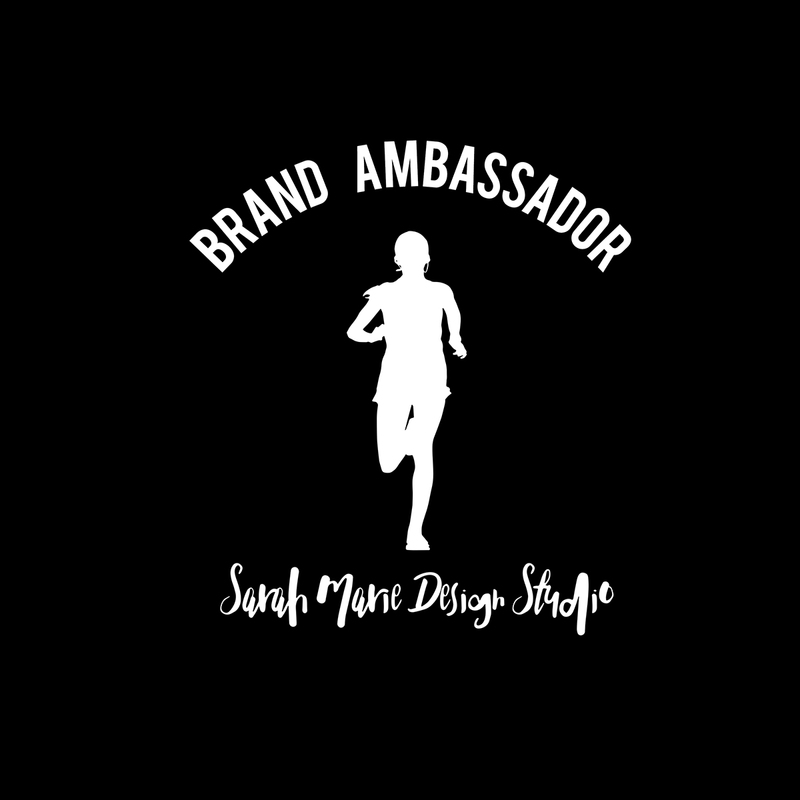 So lesson learned there and I've already reached out to a running friend and local running coach and will be joining them very soon! I started my training January 1st and did a 16 week training plan, rather than the 18 weeks the plan called for. I did 3, 20 milers and 1 22 miler and finished training with 550 miles. It honestly seemed to fly by. 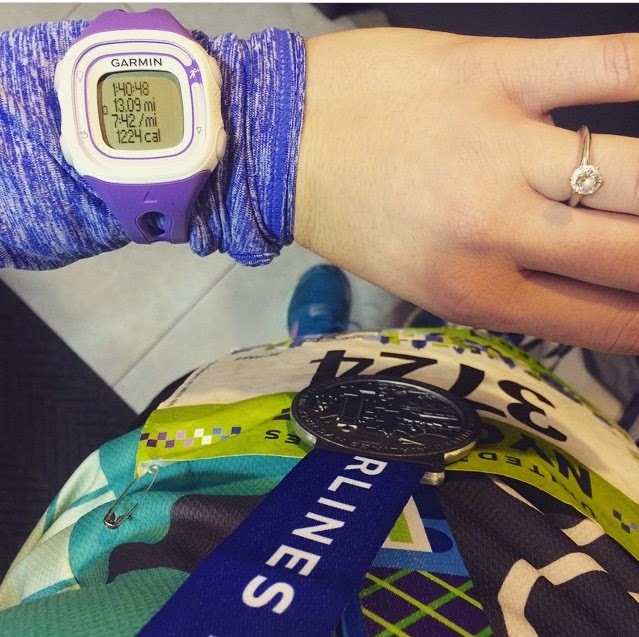 WHY I CHOSE THIS RACE: I knew I wanted to do a Spring marathon. I originally planned on running the Phoenix marathon, but time got away from me and the training start date passed and I wasn't feeling it. New Jersey is only 3 hours from home and it was the best option course wise for a potential BQ. 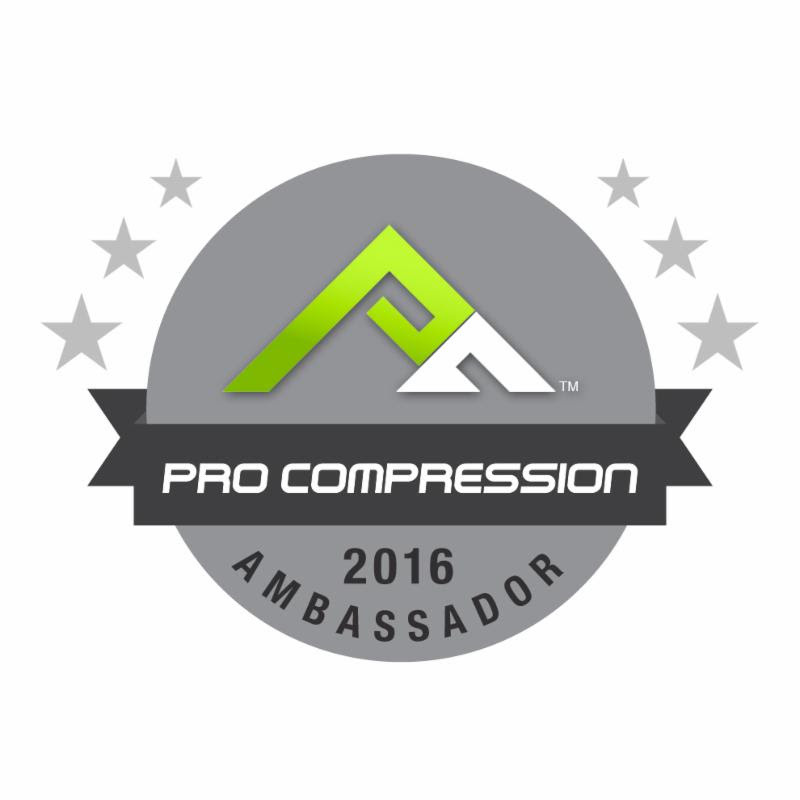 I read tons of reviews about the race and heard nothing but positive feedback. I booked a hotel .8 miles from the start and expo and it worked out perfectly. They had free shuttle buses for spectators to take from the start to mile 9 and then to the finish, which worked out great for T. After the race, the shuttles were there to bring us back to the start. The expo was small, but they had some great talks scheduled and a lot of things going on. WHAT I ATE/DRANK IN THE DAYS BEFORE: All week I tried to stick bland and plain food. I'd have oatmeal for breakfast, bananas for snacks, and plain chicken over a sweet potato with BBQ sauce for lunches/dinner. 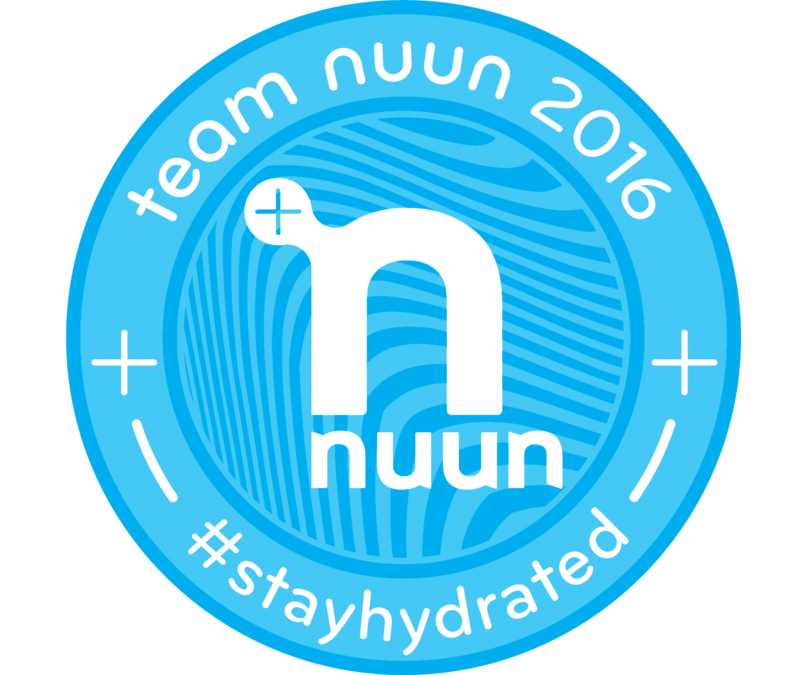 I drank TONS of water and lots of Nuun. On Friday we invited my mom and her boyfriend over for a big pasta dinner. For me its better to eat my big carb-licious meal 2 nights before so I don't feel bloated and full the next morning. Saturday we packed up and headed to the shore and I made myself oatmeal to take in the car, grabbed 2 bagel from Stacks, and packed up the leftovers from the night before. I was feeling pretty bloated and uncomfortable, but made a big ginger tea to take in the car and really helped a lot. I ate my oatmeal, an hour later a plain bagel and then around lunchtime had some leftover pasta. I really wanted to stay in a rest and T was all for it so we grabbed some food from the grocery store hot bar and it was perfect. I had a few roasted potatoes and a piece of grilled salmon. More water and Nuun and was probably falling asleep around 9. I woke up at 4:45 race morning, had a plain bagel, a few sips of coffee and a bottle of nuun with their new plus for Nuun added to the regular tab. Took 2 pepto and 2 Imodium and I felt good to go! 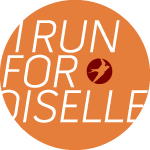 I wore shorts, my Oiselle singlet, arm warmers, compression socks, hat, Garmin Forerunner 220 and Saucony Hurricanes. FUEL: I never carry my own water with me during races, but my shorts were packed with 4 SaltStick capsuls, 1 pack of Honey Stinger chews, 1 Honey Stinger Gels, and 2 Clif Shot gel. I alternated between Gatorade Endurance and water that were offered on the course. Early on my legs started feeling a little tight and I took 2 salt sticks and they immediately felt better. I took 1 more capsule towards mile 18. I had all of my fuel except for 2 chews and 1 gel. I didn't feel like I need anymore than that and honestly couldn't' stomach anything else towards the end, I just kept grabbing Gatorade if I felt like I needed a little sugar. RACE: I was getting pretty nervous the week before the race. Everyone kept saying, "trust your training!" and "just follow your race plan!" I didn't have a plan! I wanted to BQ, that was my plan! My training?! Did I do ENOUGH!? My longs runs were around a 9:40 pace and I'm trying to run 26 miles at an 8:15 pace or better!? Panic. The start of race was seamlessly easy. There were people directing traffic out on the main road, lots of parking and the building was open to hang out in before the race started. About 20 minutes before it started, I met up with Kristen, waited in line for the bathroom, hugged and jumped in our assigned corrals. I decided to run with the 3:35 pacer from the get-go and I am so happy I did. My pace group was awesome and the pacer was funny and talked the whole time. He told me he'd pick up the pace at mile 22 if I was still with them to get me in at 3:33. I honestly felt really strong this entire race. I have exercise-induced asthma and always take my inhaler before running. I realized around mile 5 that I forgot to take it and was a little worried. I put it out of my mind and focused of each mile. I kept a consistent pace the entire race and really thought I'd be able to BQ. I was on target too. Miles 18-21 were a little rough, we were running into a pretty fierce headwind coming off the ocean and running on the uneven boardwalk that was damaged by Hurricane Sandy slowed my pace down a bit. Around mile 21 the pacers started to pick up the pace and I just could not hang on. I was trying, but my legs physically would not turn over any faster than what I was doing. My fiance saw me work hard and finish my 2nd marathon strong. He supported me every step of the way...all of my early workouts for months (4:00 alarms during the week!) and not being able to go out most nights. Thank you hunny, I love you! My mom saw the dedication and drive I had for the past 3 months and I honestly think she was more upset for me not getting the BQ because she truly knows how much I wanted it and how hard I worked for it. Love you Mom! My friends (especially you Mandy!) were a great support system every step of the way and called and texted me all the time with words of encouragement and inspiration. I was lucky enough to finally connect with Kristen and had some amazing long runs together where we literally talked about everything and anything and I was so happy to have her by my side for those runs and whine about things every now and then. She really got it! I had also had such amazing support and encouragement from everyone on social media and I hope I get to meet all of you someday soon!! A few I know will be with me in Boston in 2017! All in all, I really had a great race. No I didn't BQ, but I did PR and, more than anything, I just finished my 2nd marathon. I've been running for 2 years and I'm pretty proud of my accomplishments thus far. I'd recommend this race to anyone and everyone. The volunteers were fantastic, my pace group was wonderful, and the course was beautiful. I know I'll be toeing the line in Boston, 2017.